Sports to go! Hey, guys and girls, did you know that 18th July was a Day of Sportsmen in USSR? Well, USSR is gone, but sport isn't, so lets celebrate it! The marathon shall start approximately in 6 hours from now, after the next redistribution of Stadium district! We believe that Gold, Silver and Bronze medals are prizes per se, so we've decided to reward those bands and musicians who shall take 4th and 5th places at the next redistribution of Stadium! So, all the members of the bands which manage to take 4th and 5th places shall get 400 and 500 stem cells accordingly (each member)! 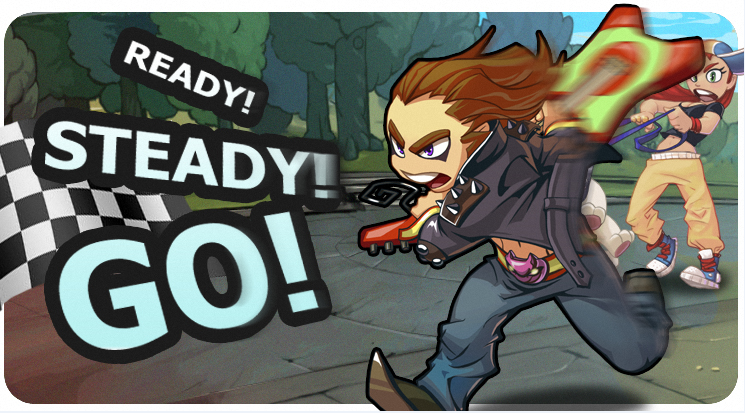 Musicians who rank 4th and 5th places in personal competition shall gain 100,000 and 150,000 coins accordingly! It's time to draw the line under "Ready! Steady! Go!" contest. The leaders of personal competition are Tifozz and Fractal (4th and 5th ranks). The leaders of band competition are Legenda and Дети Урбана bands (4th and 5th ranks). The winners shall be rewarded within a day. Thanks to all the participants and good luck in upcoming contests! Dear players, we apologize for the mistake: 5th place was taken by "The Last Ship" band!